Ultimate Fighting Championship (UFC) heavyweight champion, Daniel Cormier, came face-to-face with top heavyweight contender, Derrick Lewis, at the conclusion of the UFC 230 media day, held this afternoon (Thurs., Nov. 1, 2018) in New York City to promote this Saturday night’s title fight inside Madison Square Garden. Cormier and Lewis agreed to get rowdy on super short notice after the promotion exhausted its list of available champions, leaving the “Big Apple” fight card without a marquee headliner. Dana White and Co. tried to sneak one by us, but mixed martial arts (MMA) fans weren’t having it. The winner is expected to face Brock Lesnar for the 265-pound title in early 2019, assuming the pro wrestling import can keep the pesky folks at United States Anti-Doping Agency (USADA) off his “jacked” back between now and then. In the UFC 230 co-main event, former middleweight champion, Chris Weidman, will be testing his submission defense against fellow top contender Ronaldo Souza, also a late-notice match up after Luke Rockhold was forced to withdraw. MMAmania.com will deliver LIVE round-by-round, blow-by-blow coverage of the entire UFC 230 fight card on fight night (click here), starting with the Fight Pass “Prelims” matches online, which are scheduled to begin at 6 p.m. ET, then the remaining undercard balance on FOX Sports 1 at 8 p.m. ET, before the PPV main card at 10 p.m. ET. For much more on this weekend’s UFC 230 fight card click here. 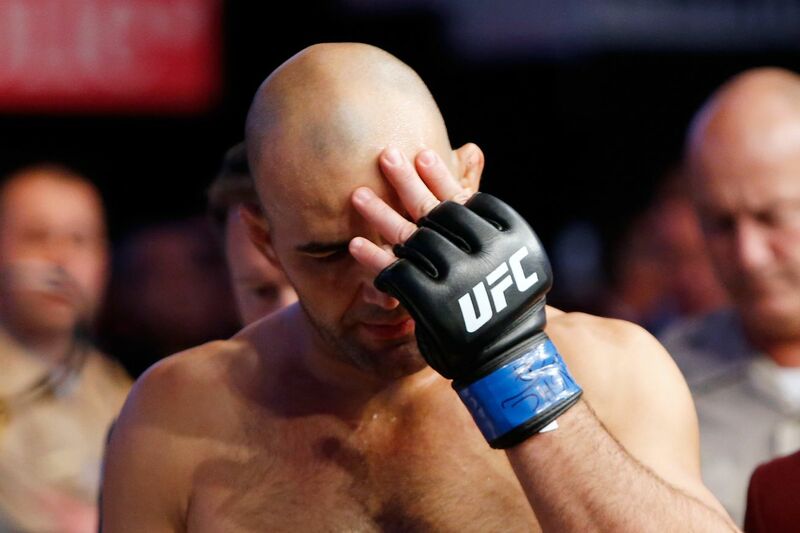 Ultimate Fighting Championship (UFC) is looking to replace Glover Teixeira in the upcoming UFC Fight Night 137 main event after the Brazilian blew out his shoulder and was forced to withdraw from the Sept. 22 fight card, scheduled for Ibirapuera Gymnasium in Sao Paulo, Brazil. While I’m sure both the promotion and opponent Jimi Manuwa would prefer to postpone the pairing rather than cancel it altogether, it sounds like Teixeira will opt to go under the knife to correct a lingering issue. This is a considerable setback for the soon to be 39 year-old slugger, especially when factoring in how pedestrian he looked in defeat to Corey Anderson. That loss put him at 2-3 over the last two years in a span that saw him get finished twice. Teixeira will find out his fate on Thursday as the promotion continues to hunt for a 205-pound replacement. As it stands, Manuwa remains attached to the FOX Sports 1 fight card, which goes live in just over a month. All Eyes On ‘DC’ Tonight In Las Vegas! Daniel Cormier will have the opportunity to make history later tonight (Sat., July 7, 2018) at UFC 226 live on pay-per-view (PPV) from inside T-Mobile Arena in Las Vegas, Nevada, when he challenges Stipe Miocic for the UFC heavyweight championship. If “DC” is able to get past Miocic he will become just the second fighter in UFC history to simultaneously hold two belts in different weight classes (Conor McGregor being the first). It’s an incredibly opportunity to say the least, especially considering Cormier last fought at heavyweight back in 2013. But fight fans should not forget how dominate the UFC light heavyweight champion was back when he was competing at heavyweight. Cormier not only defeated the likes of Josh Barnett and Antonio “Bigfoot” Silva en route to claiming the Strikeforce Heavyweight Grand Prix, but he swiftly beat down Frank Mir and Roy Nelson after stepping over to UFC five years ago. After making a transition to light heavyweight in 2014 to avoid an eventual heavyweight showdown with teammate and best friend Cain Velasquez, Cormier is coming back home. It will be a chance for him to shed his past failures opposite nemesis Jon Jones at 205 pounds and prove once again that he’s one of the very best fighters in the world. It provides him the opportunity to separate himself from his divisional ties to “Bones” and create his own history in a different weight class. 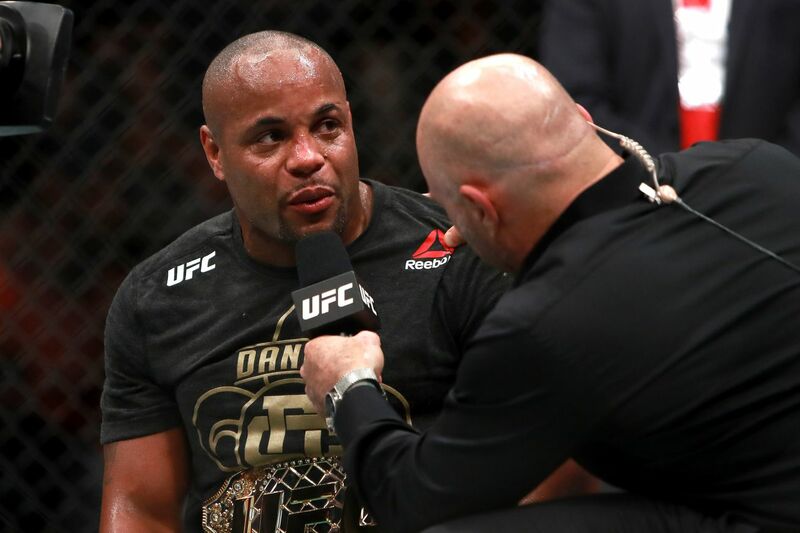 If Cormier can return to his old stomping grounds and knock off a champion who just set the UFC record for most consecutive heavyweight title defenses (3) then it’s possible that the 39-year-old will go down as one of the top five best fighters of all time. Because even though Cormier was unable to get over the hump against Jones at light heavyweight, he’s on the cusp of doing something that Jones has only dreamed about. That’s the ultimate one-upper if you ask me. Unfortunately, it will have to come at the expense of Miocic this weekend in Las Vegas. MMAmania.com will deliver LIVE round-by-round, blow-by-blow coverage of the entire UFC 226 fight card, starting with the Fight Pass “Prelims” matches online, which are scheduled to begin at 7 p.m. ET, then the remaining undercard balance on FOX Sports 1 at 8 p.m. ET, before the PPV main card start time at 10 p.m. ET. All Eyes On Punk Tonight At UFC 225! 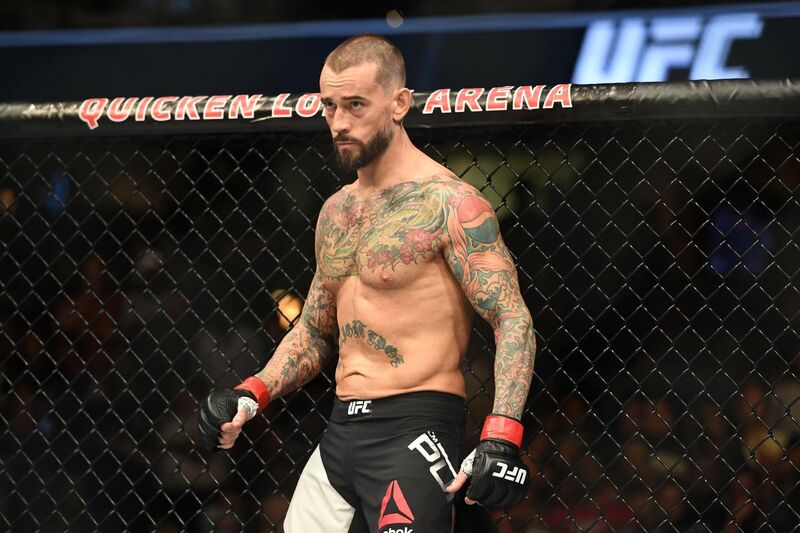 You may be tired of reading about CM Punk and his mixed martial arts (MMA) experiment under UFC watch, but you’d be lying if you said you weren’t intrigued to see the former WWE superstar step back inside of the Octagon. That’s exactly what’s going to happen later tonight (Sat., June 9, 2018) at UFC 225 live on pay-per-view (PPV) from inside United Center in Chicago, Ill., as Punk takes on Mike Jackson after spending the last two years fine-tuning whatever weapons he has. Even though Punk will never have enough time to fully immerse himself in years of MMA training, sparring, and professional competition, the 39-year-old has been given the gift of learning the ins and outs of fighting under the tutelage of head coach Duke Roufus. While Roufus is doing the best he can with what he has to work with, Punk has reportedly made significant strides in his natural progression. Does that mean Punk is going to step inside of the cage this weekend in Chicago and finish Jackson in a matter of seconds? But it’s going to be interesting to see what Punk has worked on over the past two years. His first bout opposite Mickey Gall at UFC 203 didn’t last nearly long enough to see what the former WWE star looks like on the feet or when he’s on the offensive. So hopefully Punk’s fight with Jackson at UFC 225 gives fight fans a bigger glimpse into his overall game. UFC 225 will feature other prominent main card fighters like Robert Whittaker, Yoel Romero, Rafael dos Anjos, Colby Covington, Holly Holm, and Megan Anderson, but we’re going to be covering those fighters for years to come. Punk, on the other hand, is not going to stick around forever. This may be his last walk to the cage, so it’s arguably the most interesting aspect of this entire card. MMAmania.com will deliver LIVE round-by-round, blow-by-blow coverage of the entire UFC 225 fight card below, starting with the Fight Pass “Prelims” matches online, which are scheduled to begin at 6:15 p.m. ET, then the remaining undercard balance on FOX Sports 1 at 8 p.m. ET, before the PPV main card start time at 10 p.m. ET. Having not fought since a decision win over Miesha Tate back at UFC 205, Raquel Pennington has a lot of catching up to do. Luckily for “Rocky,” who has won her last four Octagon appearances, she will have a huge opportunity to remind fight fans of her divisional worth later tonight (Sat., May 12, 2018) at UFC 224 live on pay-per-view (PPV) from inside Jeunesse Arena in Rio de Janeiro, Brazil, when she battles current 135-pound champion Amanda Nunes. Outside of her high-profile matchup with Tate in New York City, this is undoubtedly the biggest fight of Pennington’s career. That goes for her stint on The Ultimate Fighter and the six times she has fought on a PPV card. But what should we really expect from Pennington? After suffering a leg injury during a car accident back in October her initial title fight with Nunes was scrapped. While Pennington can find some vindication tonight in Brazil, it will be her first fight in exactly 18 months. That’s a very long time for any fighter to sit out, especially one gearing up to fight a champion coming off victories over Valentina Shevchenko, Ronda Rousey, and Tate. Still, Pennington will have the opportunity to shock the bantamweight division, utilize her grinding fighting style, and showcase a new and improved self tonight at UFC 224. 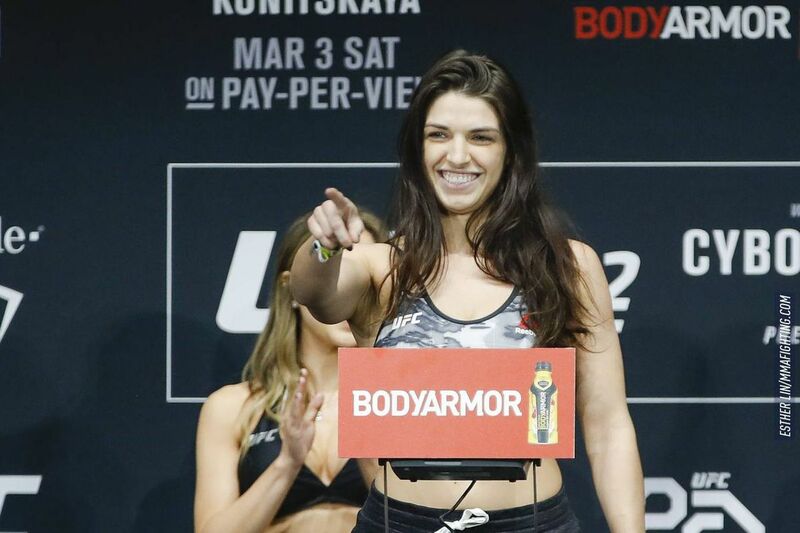 The 29-year-old Colorado native isn’t the type of fighter that’s going to knockout Nunes in front a hostile Brazilian crowd, but she has the potential to sap the champ’s energy, fight hard into the final few frames, and steal a decision or lock up a late submission. That’s really all we can ask for from a fighter who hasn’t competed since late 2016. 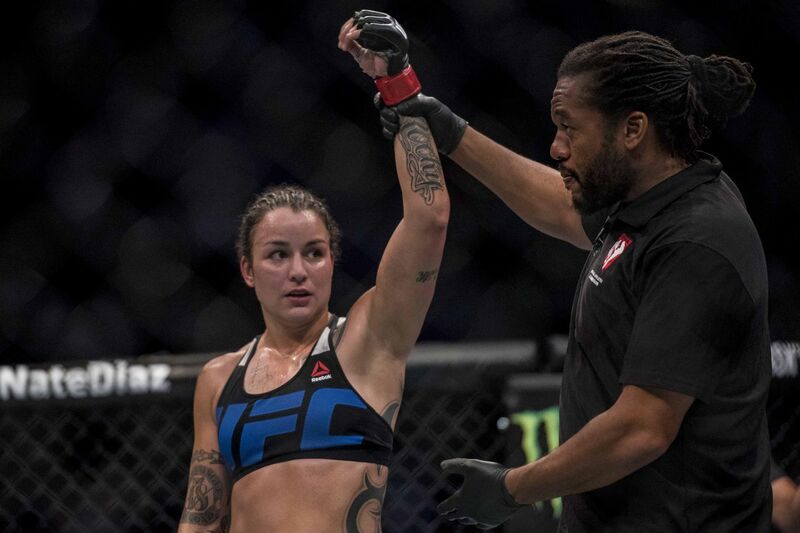 Pennington’s track record speaks volumes, especially with a 6-2 divisional clip since her UFC inception back in 2013, but she will have to reestablish herself this evening against one of the baddest women on the planet. MMAmania.com will deliver LIVE round-by-round, blow-by-blow coverage of the entire UFC 224 fight card below, starting with the Fight Pass “Prelims” matches online, which are scheduled to begin at 6:15 p.m. ET, then the remaining undercard balance on FX at 8 p.m. ET, before the PPV main card start time at 10 p.m. ET. All Eyes On ‘Thug’ Tonight In Brooklyn! Just five months ago, Rose Namajunas shocked the mixed martial arts (MMA) world and knocked out undefeated UFC women’s strawweight champion Joanna Jedrzejczyk at UFC 217 in the very first round. It was an unprecedented feat, especially considering Jedrzejczyk was, and still is, one of the best female fighters in MMA history. Luckily for “Thug,” she’ll get the opportunity to defend her 115-pound crown later this evening (Sat., April 7, 2018) at UFC 223 live on pay-per-view (PPV) from inside Barclays Center in Brooklyn, New York, and prove that her first encounter with Jedrzejczyk wasn’t a flash in the pan. If she can defeat Jedrzejczyk once more, the sky is truly the limit for the 25-year-old Namajunas. 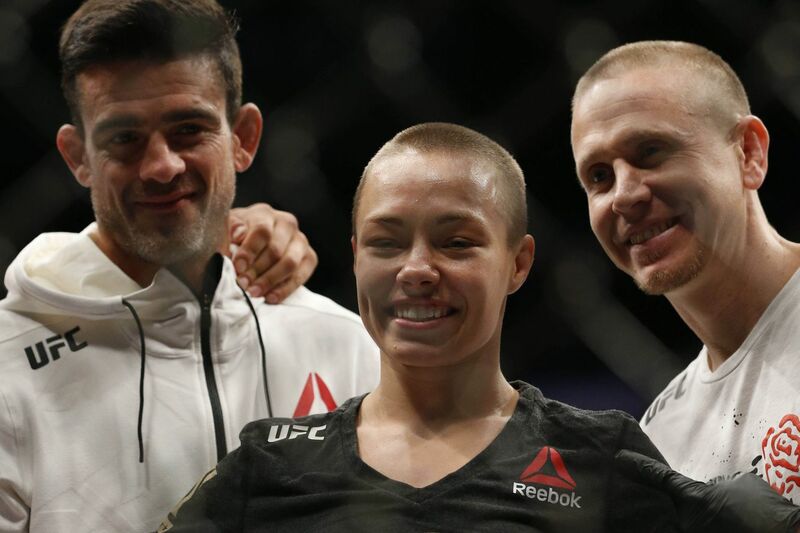 While we’ve seen newly-crowned champions get caught up in their own hype and believe that they’re truly untouchable inside of the Octagon, Namajunas has remained cool, calm, and collected. In fact, her and her team have made it a point to train as if she was fighting for the UFC women’s strawweight title, not defending it. At the end of the day, that’s a tremendous outlook for a new champion, especially one who still has to prove a ton of doubters wrong. Even as a champion coming off a first-round knockout win over the best strawweight fighter of all time, Namajunas is a perfect example that fighting careers are not meant to be perfect. Not only did “Thug” lose her first UFC title shot to Carla Esparza in 2014 following a productive stint on The Ultimate Fighter, but she lost a close split decision to Karolina Kowalkiewicz back at UFC 201, which would have led to an earlier title shot against Jedrzejczyk. Still, despite her past struggles, Namajunas continues to grow and show improvements in herself, both inside and outside of the cage. As the soft-spoken champion from Colorado gears up for her rematch with the highly out-spoken Jedrzejczyk later tonight at UFC 223, she’ll be looking to make another big stride in her career. A victory over Jedrzejczyk will force all naysayers to bow at Namajunas’ feet, understanding that she may represent the new era of female champions in UFC — one that doesn’t need to dress provocatively or talk trash in every interview to gain momentum among the masses. We will find out one way or another if now is Namajunas’ time to shine and reign supreme over a talented 115-pound division. Jedrzejczyk may very well be the best fighter “Thug” will ever face in her entire career, so beating her for a second time will forever cement her legacy in this sport. MMAmania.com will deliver LIVE round-by-round, blow-by-blow coverage of the entire UFC 223 fight card, starting with the FOX Sports 1 “Prelims” at 8 p.m. ET before the PPV main card start time at 10 p.m. ET. All Eyes On Emmett Tonight In Orlando! The rise of Josh Emmett has been a quick one. After starching Ricardo Lamas with one punch back in December, the Team Alpha Male (TAM) standout will have yet another opportunity to improve his divisional ranking later tonight (Sat., Feb. 24, 2018) at UFC on FOX 28 from inside Amway Center in Orlando, Fla., when he takes on featherweight veteran Jeremy Stephens. Needless to say, Stephens is going to test Emmett at every turn. He’s a skilled veteran with devilish power and is currently experiencing one of the best upticks in performance of his lengthy career. Unlike Emmett, Stephens has already headlined a few UFC events and understands what it takes to pace his output and production in a five-round affair. Considering Stephens’ track record in UFC, it’s going to be difficult to find a fighter on the featherweight roster with more relevant experience. Luckily for Emmett, he has already demonstrated the ability to punch his way through a lack of experience and heavy odds when he smoked Lamas via knockout at UFC on FOX 26. Not only was “Bully” the first ranked opponent Emmett had ever encountered in UFC, but Emmett only had 30 days to prepare for the fight after filling in for former UFC champion Jose Aldo. While few mainstream fight fans knew who Emmett was before his incredible finish over Lamas, it’s going to be hard to ignore the 32-year-old’s appeal moving forward. Emmett has always possessed a lot of potential as an up-and-coming prospect under the close watch of TAM head coach Urijah Faber, but he’s finally getting the high-profile matchups that his skill set requires. If it wasn’t for a split-decision loss to lightweight Desmond Green at UFC 210 last year Emmett would be currently undefeated at 14-0. Instead, that lone loss has helped propel Emmett’s urgency inside of the cage, which may or may not have played into his knockout of a former UFC title challenger. 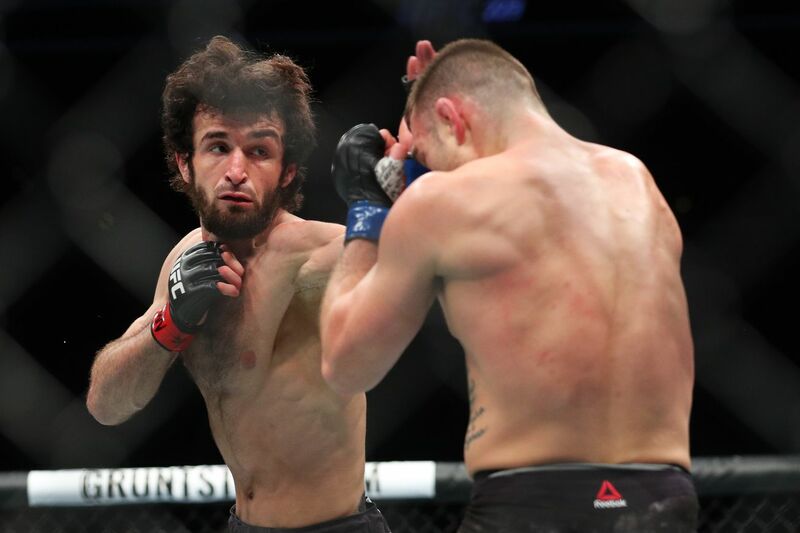 Even though Emmett is unlikely to land a featherweight title shot with a win over Stephens this weekend due to the impending UFC 222 clash between top dogs Frankie Edgar and Brian Ortega, a victory over “Lil Heathen” should land Emmett a No. 1 contender’s bout sometime this summer. That’s incredible considering Emmett made his return to 145 pounds just four months ago. MMAmania.com will deliver LIVE round-by-round, blow-by-blow coverage of the entire UFC on FOX 28 fight card, starting with the Fight Pass “Prelims” matches online, which are scheduled to begin at 4:15 p.m. ET, then the remaining undercard balance on FOX at 6 p.m. ET, before the FOX main card start time at 8 p.m. ET. John Gotti III, the grandson of the late New York mobster John Gotti, will meet Johnny Adams in a featured CES MMA 46 pairing on Oct. 27 at Twin River Casino in Lincoln, Rhode Island. Category: Sherdog / Tags: Debut, Eyes, Gotti, John, Oct.